Repurpose projects are always fun, no matter if they are big or small. 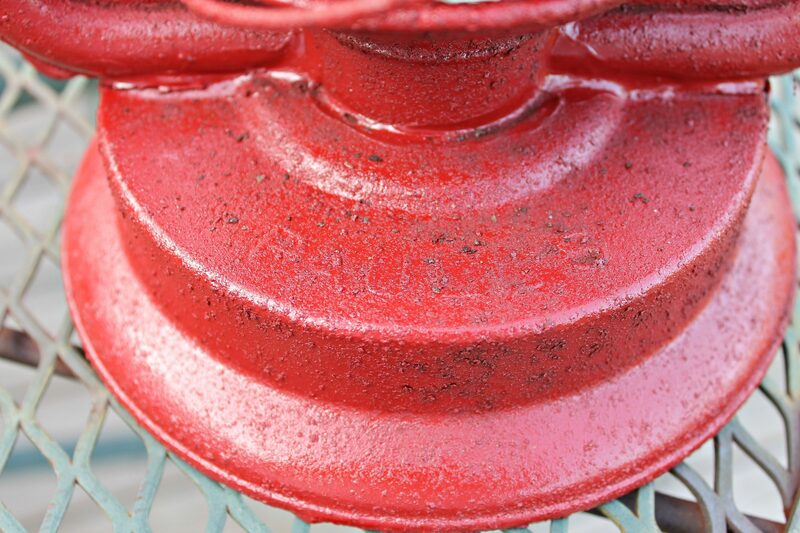 Repurposing this old lantern was part of our Porch Makeover Project. 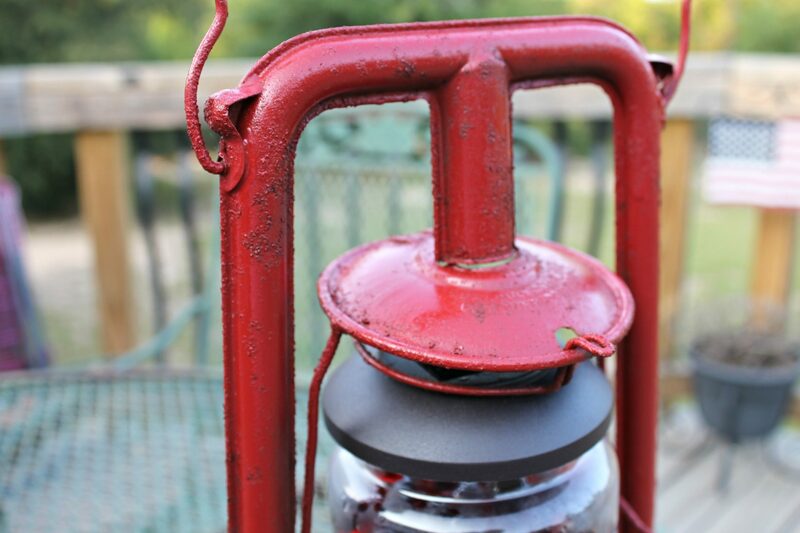 My husband and I found this wonderful old beat up lantern at an estate sale several years ago. I had intentions of using it as a repurposed lighting feature on the front porch all along. Finally, it is done! It is completely rusted, isn’t it! I wish I could know everywhere this old lantern had been. Oh the stories it could tell! A little paint can make a bit difference! I already had the old glass jar. I tried several different sizes of Mason jars but none were really big around enough to do the space justice. I picked up the red glass marbles at a local thrift store. We had one solar light left over from our Solar Chandelier project. This is simply the same solar lights used for path lighting in the yard. All I needed for this project was the top piece with the solar panel and the light. I placed in on top of the jar to create a nice glow at night. I am absolutely in love with this wonderful old lantern. Just look at the character it has! I love the crusty look! I love the crusty but painted look. It is exactly what I was hoping for! The brand name is visible right here on the base but I’m not familiar with it. Our wonderful old crusty lantern repurposed as a solar light has the least little glow at Dusk. 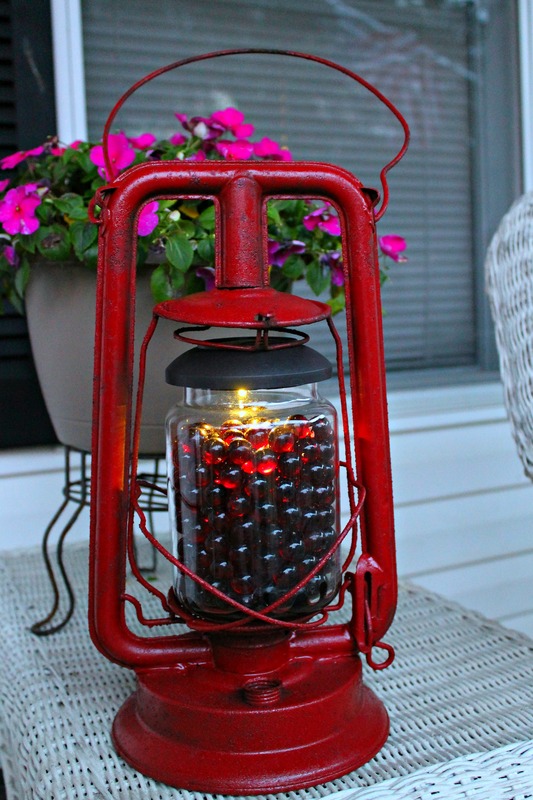 This addition to our Porch Makeover Project creates a little mood lighting. Apparently I have a nice little collection of lighting pieces going on. I didn’t realize it until the Lantern Makeover project was finished. The Angel lamp was my Mother’s. She was fascinated with Angels and loved to read about them in the Bible. The tablecloth I used was also my Mother’s. She did all of the embroidery on it herself. She used it after a big family Sunday dinner. She knew everyone would go back later after coffee and conversation. Rather than put the food away, she just covered it all with this tablecloth she embroidered. Momma made it from a white sheet. Women have been resourceful for all of time! I just simple like your idea. It is looking very elegant, simple but eye catchy. I am a little religious and beleive that placing lanterns brings good fate. Very Cool! Do you get enough light under the top to keep the light on very long? I just take the solar light off and lay it in the sun when it needs to be charged. It couldn’t be any easier! I just love it! Seriously, Great job as usual. It is amazing how someone can take a piece of what seems like nothing and make it into a beautiful something. I love the little bids in the jar! Love it! Hard to believe what it was look like. 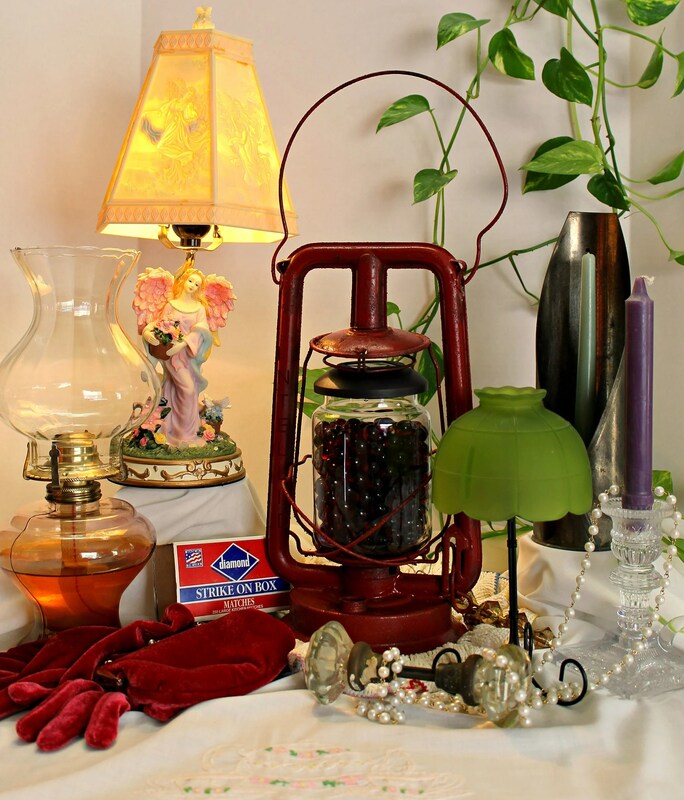 You are very gifted in repurposing! I absolutely love that lantern!!! It would go perfectly with my porch decor! If you find another one . 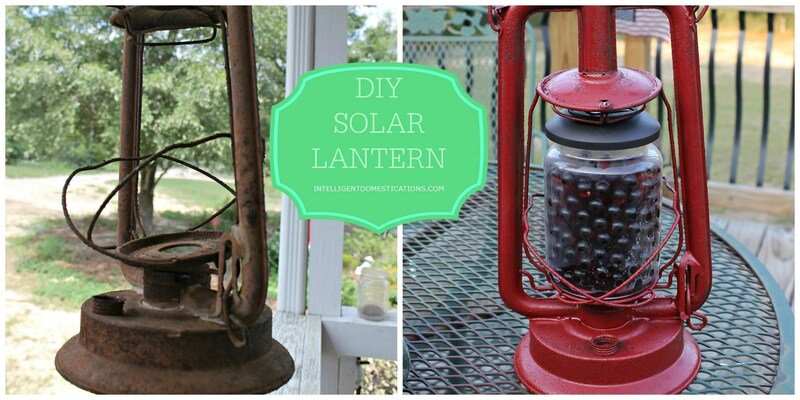 . . What a great idea to make it a solar lantern and the red color is awesome. What a beautiful job, Shirley! Pinning!!! That came out perfectly! And what a beautiful treasure from your mom you have in that angel lamp!